What will the 6-inch Lumia 1520 look like when it hits AT&T exclusively in the U.S.? We just might know now due to a leaked press image. The Lumia 1520 was introduced last week at the Nokia World event in Abu Dhabi, and while we knew the phablet was heading to AT&T, there were no full reviews released of all three versions. 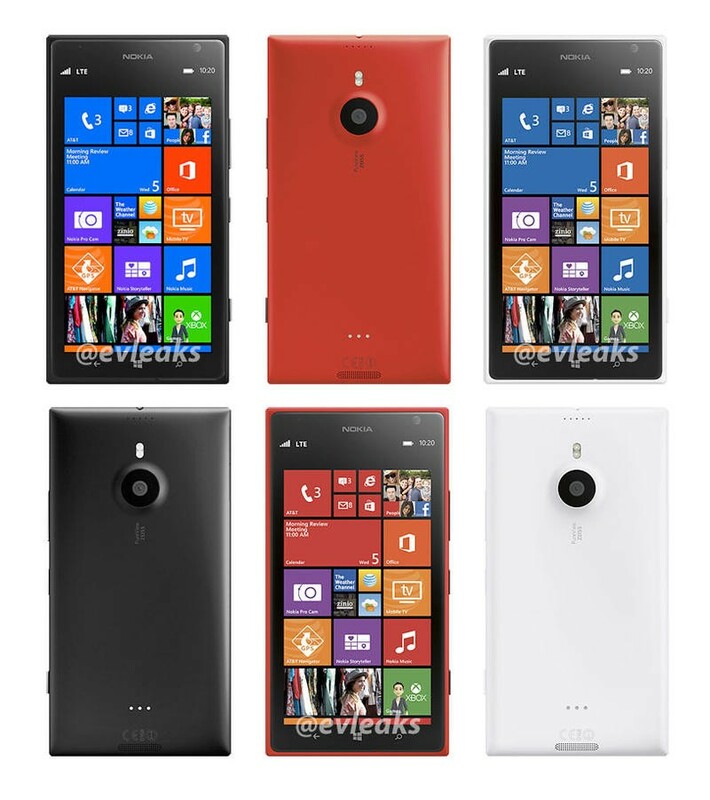 Prolific mobile leaker @evleaks however got a hold of an image that shows off the black, red and white versions. While the AT&T branding looks to be non-existent on the physical phone, the typical bloatware is indeed shown off in the images. This isn't a major surprise, but it does mean that we appear to be getting a full look at these handsets, although there does appear to be some age to them as an older version of the camera app is shown. The same app appears in the limited, smaller renders seen on AT&T's site, so it doesn't look like as any reason to discredit this image. We still don't have a firm release date for the 1520 in the U.S. beyond some time this quarter.